Antibiotics have been the cornerstone of modern medicine for the past 70 years. Antibiotics were in plentiful supply in the middle of the last century, but we invested less effort in finding new ones after the 1960s. Combined with this, we vastly underestimated the ability of microbes to evolve and become resistant to the action of antibiotics. At least 700,000 people a year worldwide die from antibiotic resistant infections. Which could rise to 10,000,000 globally by 2050. New drugs can take up to 15 years to develop, and cost many hundreds of millions of pounds. If antibiotics lose their effectiveness, routine medical procedures could become too dangerous to perform. Now, antibiotic resistant infections are a major threat to human health, killing over 25,000 people a year in Europe. A recent governmental review on antimicrobial resistance predicted that drug resistant infections could kill 10 million people a year globally and take $100 trillion off the global GDP. The antibiotics crisis could be considered another ‘sustainability crisis’ alongside climate change, biodiveristy loss and ocean acidification for example. They are all a consequence of our lack of attention to the long-term or the systemic, and dealing with it is likely to require difficult choices about who wins and loses. It is also a crises of the commons – a commons that is perhaps even more intangible than the air or sea. Therefore, how we deal with the antibiotic crises may help us understand how to deal with other sustainability issues, and how we are dealing with things like international climate change negotiations may help with the antibiotic crises. However, there are signs antibiotics may be fixable through science in the way other sustainability issues can’t be. 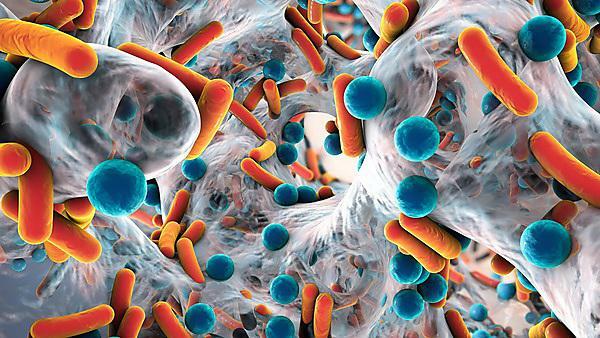 Concerted efforts are urgently needed in the development of new antibiotics and diagnostic tools to guide prescriptions if we are to avert the crisis we face and sustain modern medical practice. In Plymouth, we are developing a new class of antibiotics for use in prevention and treatment of infections caused by ‘superbugs’ like MRSA. These new antibiotics work in completely different ways to current antibiotics and have excellent potential for use against drug resistant infections. In recent trials, a single dose of one of these new antibiotics was as effective as six doses of the current therapy, which justifies progressing towards clinical trials in humans. Dr Mathew Upton, Associate Professor (Reader) in Medical Microbiology, talks about his work with antibiotics.